To some, a howling dog portends death and destruction. But to those with creative persuasion, a howl inspires artistic excellence. Allen Ginsberg launched his poetry career on a poem called “Howl” and a throng of horror film makers built a strong following making werewolf films. One filmmaker of note in that area is Joe Dante for the movie “Howling”. And who isn’t scared by howling dogs? What’s curious is why dogs howl and for what reasons. 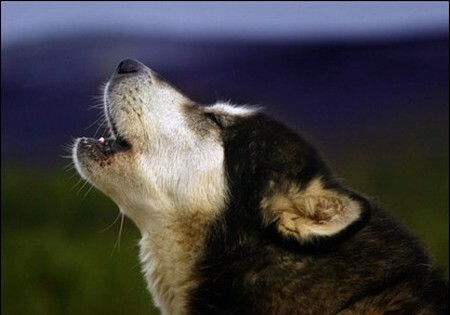 Howling is your dog’s way of communicating with other dogs or to you. Howling sounds like a long-range cry addressed to dogs from far away. 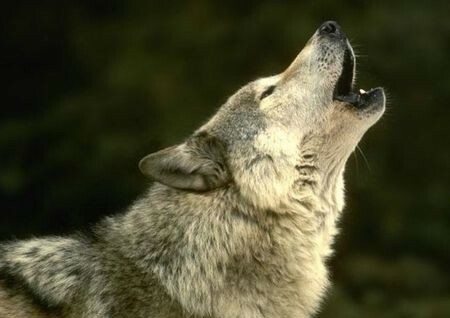 Not all howls sound the same, but they’re sent out to mean either one of the two–to keep strangers away or to call members of the pack for hunting. As a response to other sounds. Like humans, dogs cry for many reasons, and dogs howl as a response to annoying sounds like music, noise, singing, and nature sounds. You have seen how dogs howl in response to sirens, commotion, or a sudden shift of things around it. A dog howls out of excitement, too. So it’s not about bad things happening pretty soon, as commonly believed. Wolves howl when they wake up in the morning. But experts can’t agree on why they do this. Dogs don’t do this any more, though. Sign of separation anxiety. If dogs do howl in the morning, it’s when you are leaving and they’ll howl some more after you’re gone. This is caused by separation anxiety. You’ve seen videos of dogs singing along with a tune, and this is so because they want to be part of the pack–not that he is actually singing. And since a pack is based on rank, dogs get along with each other easily using their body, sense of smell, and voice. You should be able to differentiate barking from a howl: a howl is a prolonged, often times monotonous sound, but a bark is a series of short, snappy noise. The more frequently used word in English is woof. Domestic dogs rarely howl– if they do it’s only when they are left out in the cold, or when a male dog gets attracted to a female dog. Puppies howl when they feel sick and seek attention. Puppies easily get intimidated by larger dogs and they howl as a response to it. It is similar to a child’s crying for help. Even if they howl, our pet dogs remain loveable. If their howling can put you to sleep, you’re one lucky fellow. Why Does Shaken Soda Explode?